Imagine yourself standing on a stage in a pitch black auditorium. You put your arms out in front of you and you can't see your hands waving in front of your face. You spin in a circle and you aren't able to touch anything. So you still yourself and breathe. And pray. Then, bam! A spotlight shines down on you. And then slowly, your eyes begin to adjust . . .
Two years ago, my husband and I were in the doctor's office for the big 20 week ultrasound of our 4th baby! It was exciting, as they usually are. We were able to see our baby's heartbeat and see our baby squirming around. But, the technician kept looking over and around the baby's heart. I could tell she thought something wasn't quite right. She brought my OB in. Sure enough, something wasn't quite right. They found fluid around our baby's heart. More tests were needed to rule out a few things and to let us know whether our baby would need surgery right away. We were sent to a high risk doctor who wanted to do more testing. We had to wait several days for the results. The moment I received the phone call from my doctor, the lights went out. Not literally. But I knew when I heard his voice, instead of a nurse's voice, he was going to deliver big news. He told me that our baby had Down syndrome. Fear was my darkness. My heart was racing and I couldn't see a thing. I was alone in the darkness for the two minute phone call and I was scared. I didn't know anything about Down syndrome. Would our baby be okay? Would we be okay? What would this look like for our family? Thankfully, our story did not end there. It didn't end with fear. We were not kept in the dark. Instead, the darkness and fear of a diagnosis of Down syndrome was forced out by the light of the Lord and the blessing of our newest little boy, Way! He was here! He was real and squishy and needy and sleepy. He was just like every other baby, but he was ours! 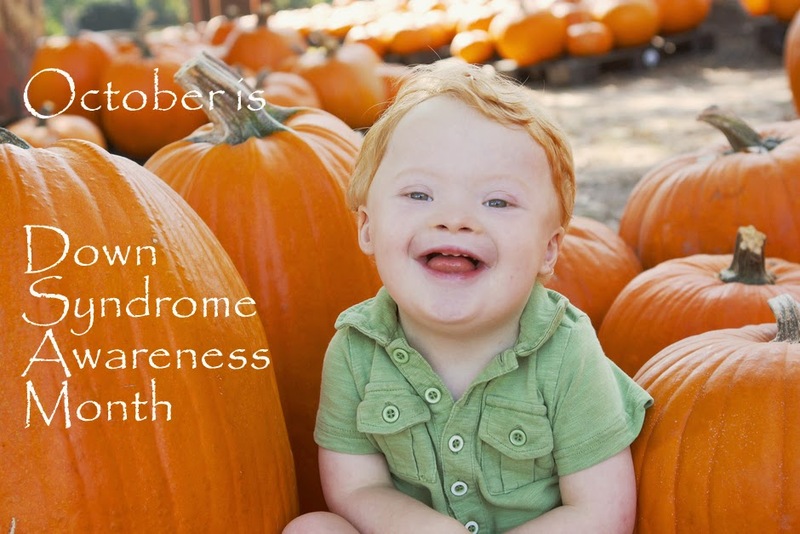 Dpwn Syndrome Awareness Month is a wonderful time to shine a light on Down syndrome. But here's the thing. 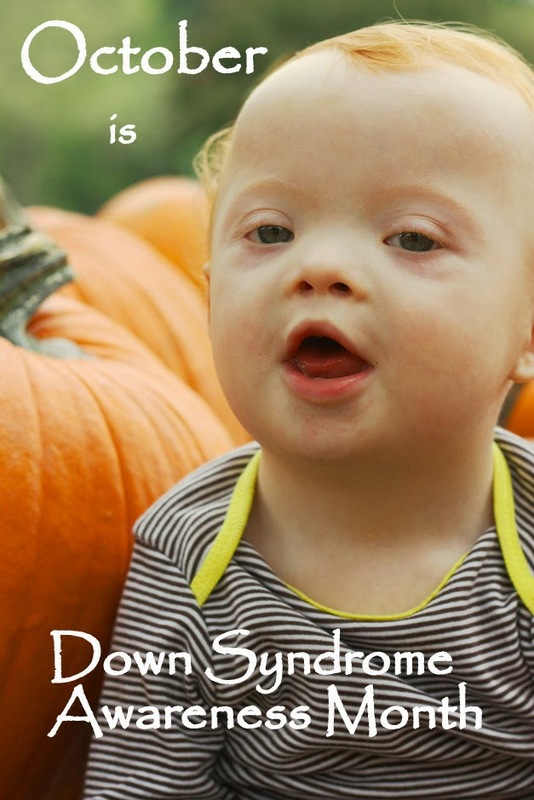 I might be able to tell you some technical details about Down syndrome that you don't know. But is that what I really want you to know? No. I'm not concerned whether or not you know that Down syndrome is a genetic condition caused by a third copy of chromosome 21. It's not what you should know, but it's who you should know! All life is precious! Our little boy with Down syndrome is a gift from God. All of our boys are, in fact. But often, a Down syndrome diagnosis brings about fear in people. It's the fear of the unknown. I know. I felt it. It was dark for a little bit. But the unknown doesn't last forever! 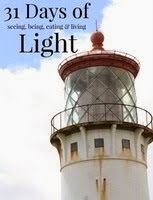 The light of these blessings, these people, shines through. In a world today, where prenatal testing often ends lives because of fear, I want you to know someone with Down syndrome. I want you to see that life is good and life is precious! People aren't suffering from Down syndrome. Today, people with Down syndrome are thriving! I can't possibly tell you all the amazing things Way has added to our life. He's so much more than a diagnosis. He's our little boy---full of joy, and smiles. Determined to be noticed and determined to have anyone in the room with him sing the Itsy-Bitsy Spider with hand motions! Way is not Down syndrome. He is not fear. In fact, there's nothing more peaceful to me than cuddling him in my arms at night, after singing Jesus Loves Me in the dark. Way is a bright shining light! This month, it's good to be aware, but it's even better to know! The Lord designed our little Way and the Lord makes no mistakes! I praise you, for I am fearfully and wonderfully made." Love this! Way is a true gift from the Lord and he is blessed to call you momma! What a beautiful attitude, a godly perspective, and a happy picture for the rest of us! I love this, Lindley! So beautiful. I hope I can meet Way one day. I just love you family! So very proud of you and your loving heart.